Wisconsin Beer Geek: IVB Canteen - IL Vicino Brewing Co.
A couple weeks ago I spent a few days in Albuquerque. While I was out there, I made it a point to visit a few breweries. 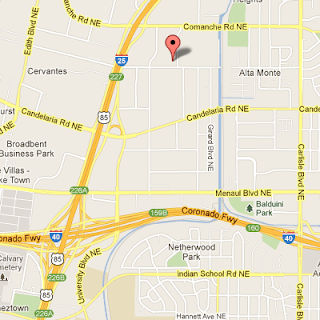 One of the breweries that I made it to was the IVB Canteen which is just off I-25 at 2381 Aztec Rd NE. We got a little confused getting to the brewery off the Comanche Road exit because the streets were not clearly marked but other than that, the trip to the brewery went well and once we were off Comanche it was easy to find. 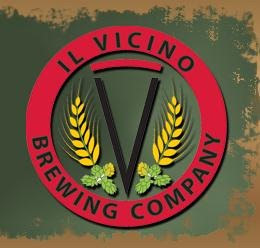 The IVB Canteen was opened on April 5th, 2011, but various sources indicated that Il Vicino Brewing Company has been in business since at least 1995 when their Wet Mountain IPA won a Bronze medal at the GABF. Not much information is available on the internet about Il Vicino, so, on with the review. I walked into IVB Canteen hoping to get a full sample tray, but was informed that there was a law that limited the amount of samples an individual was able to have. Seems like an odd law to me, but every brewery that I visited had a sign over the bar asking patrons to respect the three beer limit so maybe the sample limit has something to do with that. Looking over the beer list I chose to sample Pigtail Pilsner, Slow Down Brown, Wet Mountain IPA, Exodus IPA, Sasquatch Scotch, and the Raspberry Wheat (which I ordered as a desert of sorts). To pair with it I chose the Sauce Hog, a pork sandwhich with IPA BBQ sauce. (German Pilsner, lager) Straw to golden in color with light to medium body or mouth feel, medium malt flavor, medium to high bitterness and low to medium hop flavor and aroma. This is our lightest beer available year round, higher in carbonation than most our beers and filtered to resemble most of the mass-produced lagers that people are familiar with, but with more character. The Pigtail Pilsner was pale straw with a very fine white head after agitation, and it had decent lacing although it’s always hard to get a good impression of the head in a taster glass. The aroma was light and grainy with the noticeable spicy Saaz character shining through. The flavor was exceptionally well balanced with a slight amount of sweetness from the Pilsner malt and a moderate amount of hop flavor. There was no perceptible DMS, at least to my palate. It was medium bodied with a moderate to high level of carbonation. Pigtail Pils is an excellent beer! (American Brown Ale, ale) A malt dominated beer with roasted malt, chocolate, nutty and or toasty flavors. Medium to high bitterness with noticeable hop aroma and flavor. Brown to dark brown color. Slow Down Brown is the most decorated beer we brew winning many, many medals at the GABF and World Beer Cup. It is darker in color and richer in flavor than most brown ales on the market but that’s what makes it stand alone. Ingredients: English Pale, Caramel and Chocolate malts as well as English Roast Barley. Simcoe and Cascade hops. Slowdown Brown is light mahogany with a nice off-white head present after light agitation. The aroma is of roasted malts, a hint of smokiness (odd since there aren’t smoked malts in the grain bill). The flavor has nutty and chocolate notes to it and a slight hoppy bite from the Cascade hops on the back end. It was medium bodied with a moderate level of carbonation. This beer left me underwhelmed, it was a decent brown ale, but didn’t strike me as anything special. (American India Pale Ale, ale) An intensely hoppy ale (in aroma and flavor) with high hop bitterness and a sturdy malt backbone to support the strong hop character and lend balance. Our Wet Mountain IPA has won many awards including a gold medal at the World Beer Cup in 1996 and a bronze medal at the GABF. The IPA style originated as an ale brewed in England and exported to troops in India during the 18th century. Both alcohol and hops serve as natural preservatives, so the beer was made stronger and with higher amounts of hops to survive a voyage that could take as long as six months. Ingredients: American 2-Row and English Caramel malts. Cascade, Centennial, Summit and Simcoe hops. The Wet Mountain IPA is Amber in color with a very nice white head when agitated. The aroma is piney and resiny with a very nice pale malt backbone. This beer smelled amazing, and made me wish I had ordered it as a pint instead of a taster. The flavor was extremely resiny and piney up front, almost like chewing on pine needles. Providing balance to the hops was a very pleasant malt backbone with just the right amount of malty sweetness to support and enhance the hops. It was medium bodied with a moderate level of carbonation, and one of the top two beers of the flight. Exodus IPA poured gold in color and developed a good white head when agitated. The aroma was piney and resiny like the Wet Mountain, but it also had slight hop notes that just pushed my level of enjoyment over the top. As with the Wet Mountain it had a very nice malty backbone in place to keep the high level of hops in check. This was by far the most enjoyable aroma of the night. The upfront flavor was dominated by pine, resin and an extreme level of hoppy bitterness. A very slight malty sweetness was present throughout but it only seemed to enhance the hops and make the pine and resin notes pop and linger long after the last sip. Exodus was medium to high bodied with a moderate level of carbonation. It was easily the best beer at the IVB Canteen, IMO; at least out of the samples that I tried. Sasquatch poured dark mahogany and had a tan head after some agitation. The aromas were dominated by a caramel sweetness, hints of alcohol and a mild hoppy bitterness. The flavor was very smooth with vanilla and caramel notes, and for some reason hints of smokiness like what I experienced in the brown. Smokey notes are not out of place in a scotch ale, but they aren’t all that common in commercial examples, at least not American commercial examples. Sasquatch Scotch was medium bodied with a light to moderate level of carbonation, which served to enhance the smoothness of the beer. It was an excellent beer that I likely would have enjoyed far more if I drank it prior to the IPAs. The Raspberry wheat is reddish Amber with a very thin white head that refused to develop further with agitation. The aroma had a slight wheatiness to it, with some light malt thrown in (Pils?) and a pleasant tart raspberry finish. The flavor was equal parts tart raspberry and a sweet maltiness reminiscent of pilsner malt. It was highly carbonated with a light to medium body. I went into this beer with high hopes and was ultimately disappointed. Sure it has nice tart raspberry notes, but it is not as complex as many other fruit wheat beers, and the wheat was barely perceptible in the flavor. This sandwich was awesome, the smokiness of the pork and the tanginess of the IPA BBQ sauce combined with the sharpness of the aged cheddar made this an extremely complex culinary experience! I only wish that it came loaded with more IPA BBQ sauce, but that might have upset the delicate balance of flavors that this sandwich had going for it. If you make it into the IVB Canteen, don’t leave without trying this tribute to pork. The IVB Canteen was a good brewery with many good beers on tap. If I lived in the area it would definitely be in my restaurant rotation! That’s all for today, check back next week for the next installment in my breweries of Albuquerque series.